tmjerm had the most liked content! I thought Bean and Martin both showed a lot of promise. Big shoes to fill when that time comes but those were critical snaps for both. I really really like Pearson a lot. I prefer his personality to Martin and Bean but his skill set doesn’t appear to be what we need. At Qb right now we need pocket mobility more than anything else, then quick release, good running ability and toughness. We will see how it plays out. 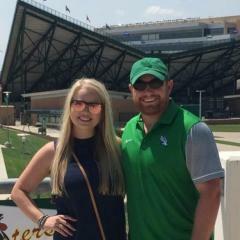 I trust the staff but we’ve got to remember that a Mason Fine comes around once in a lifetime. He’s our Major Applewhite, Johnny Football, Case Keenum and we’ve got to make sure he knows it. Man is legendary. FYI you can reach out to Student Affairs to pay for a student to go to the bowl game for $50/person. There isn't a very clean/formal process to do it, but I tweeted them I'd pay for a kid and they sent me the message below. I posted into my fraternity's fb page to find an undergrad to pay for - I recommend if you're able, treat a student to the bowl! https://studentaffairs.unt.edu/student-activities-center/athletics Hi. We've had a few people offer to pay for students. If someone reaches out to you, let us know and we can get the student signed up and send you the payment link. Thanks! The font numerals on the second no good, and both need open sleeves rather than fitted. But cool stuff! To be honest I haven’t watched any of his teams in the last decade outside of 13 SMU and that was too long ago to remember much. Upon review of his recent teams' records though it'd appear you're right. Yeah that was me and it sort of was but it’s not crazy to look at. He’s the dude. I think he must have some issues with how much of a journeyman he is and he’s older now...but he innovated the offense and entire philosophy our program is built on. I recommend reading The Perfect Pass...changed the way I watch the Air Raid. PS it still may be. If so, I’ll bet you a beverage at Eastside or a Courthouse Fudge at Beth Marie’s if I wind up to be wrong. So is deriding a coach who is headed out the door and you’re just butthurt. I am too but all I’m saying is running him down doesn’t help the program. He did a HELL of a job here and I hope it’s not over. If it is I’m grateful for what he’s done. We can’t treat our coaches with bitterness. Half the damn ACC head coaches would take the KState job, let alone all of MWC and CUSA. Be proud of it. Damn. You realize how bad our players were for this system when he got here? He didn’t start strong as a recruiter but stuff takes time. I have no doubt he’d win a championship in the next three years. 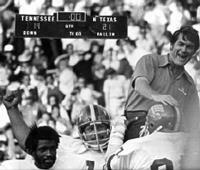 We won games in spite of poor talent, specifically on the offensive line which is absolutely integral in the Air Raid. He willed these boys to do just enough to give Mason (WHO HE ALONE FOUND) time to get the ball out to our talented skill guys. Not to beat up our line, just saying that this all takes more time than 3 yrs. he created expectations because he overachieved! Haha 6 win fan. Dude I want to win as much as you do. This is a process. It’s not about “accepting who we are”...i love your zeal...we need that. But we also need coaches to know we appreciate what they’ve done to get us to the next level. A coach who has an opportunity to take big xii job under MOST circumstances would be crazy not to take it. I don’t harbor any (permanent) ill will even though right now I’m fuming. It’s part of the gig. Wren is gonna do his thing and we as a fan base need to show the next guy why this is a gig worth taking. Man, this is coaching. I’m hurt too but if you take off your green colored glasses you realize that this is normal. It’s everywhere. Doesn’t mean we have to like it, but my point is that it doesn’t discredit what he has accomplished here.